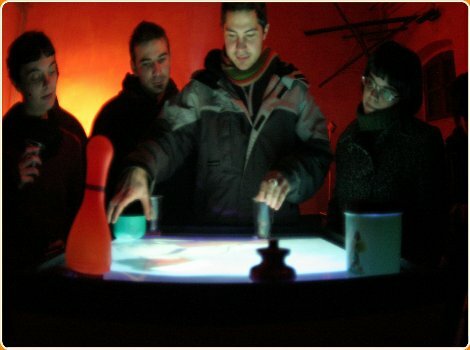 “MesaQ – Table User Interface” is an interactive video mixer in table form. 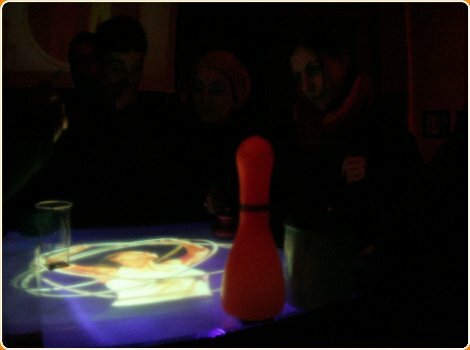 By moving some objects on its surface, user can manipulate video output in real time, applying effects and transitions. 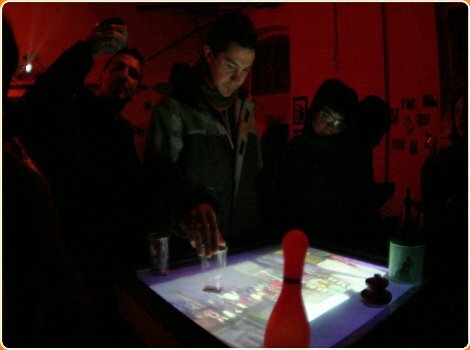 The table was built to organize collective sessions of vjings at parties and raves. It ‘has been exposed on several occasions between Italy and Spain. Reactivision has been used for the tracking part and PureData for feedback on the surface and video output.